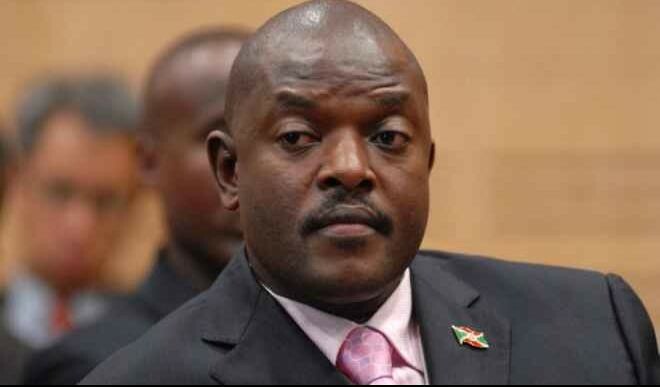 Burundi’s President Pierre Nkurunziza has launched a referendum campaign to prolong his stay in power until 2034, news agency AFP reports. The push is aimed at adopting a draft constitution that would allow him to serve another two seven-year terms from 2020. He told supporters on Tuesday at the central Gitenga village that those who oppose his bid “by speech or action” would cross “the red line”. The campaign comes after the government launched a funds drive for the 2020 elections. AFP reports that the move, which the government says is voluntary, has been condemned by rights groups as “organised robbery”. Opposition figures in exile say the referendum will be the “funeral” of the country’s 2000 peace agreement that ended a 13-year civil war in which more than 300,000 people were killed, AFP added.